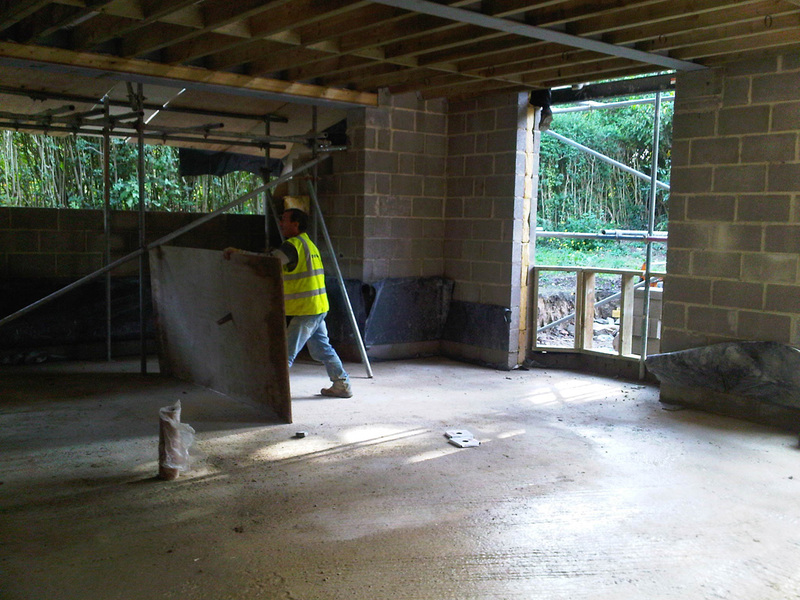 The clients wanted to build a new family home in a very prestigious area of Harrogate. 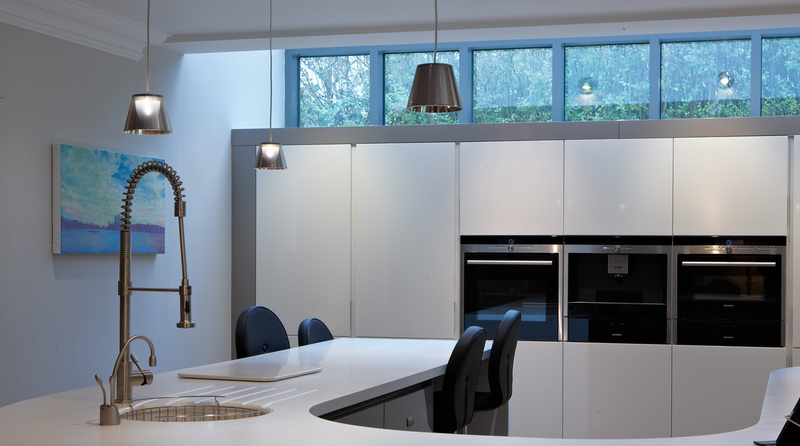 The client hired architects and builders and we worked with the client’s contractors to create the perfect home. Spatial planning needed to be done, sourcing and specifying flooring, colour schemes, wall paints, wall coverings, furniture, accessories and lighting. 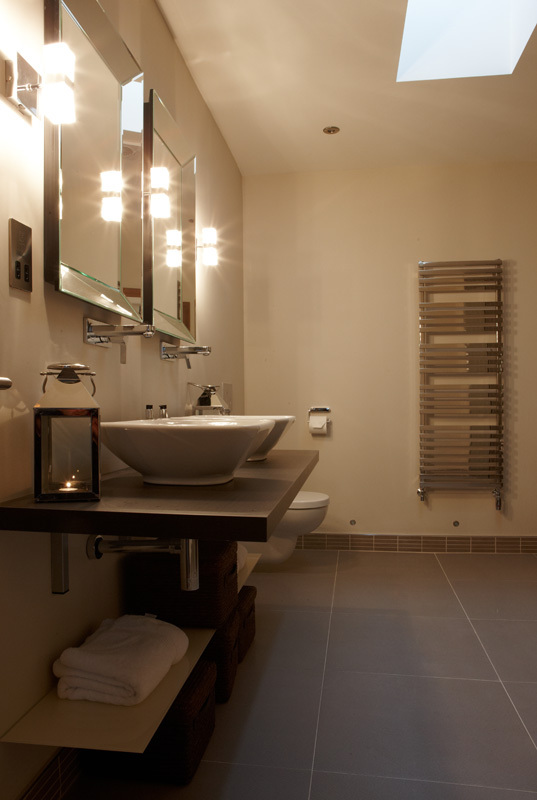 Guidance with bathroom and kitchen designs including the fittings were also included in the brief. 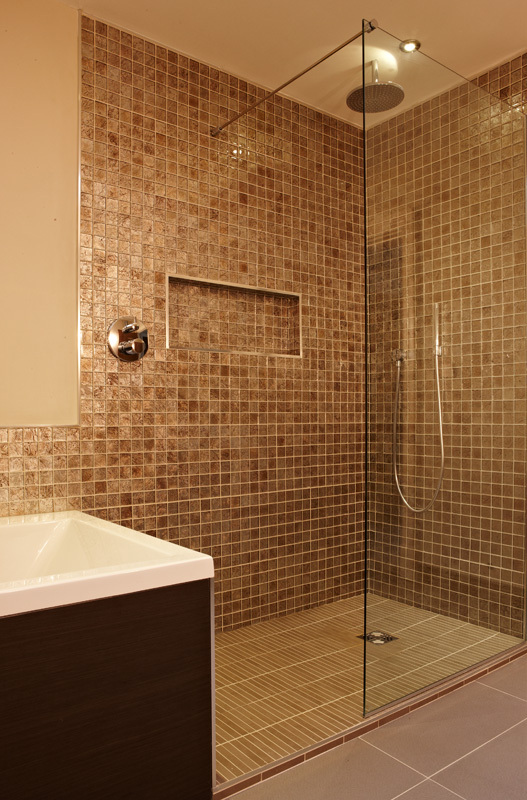 The deadline was within a year and it was important that the clients had a home that was right for their family. 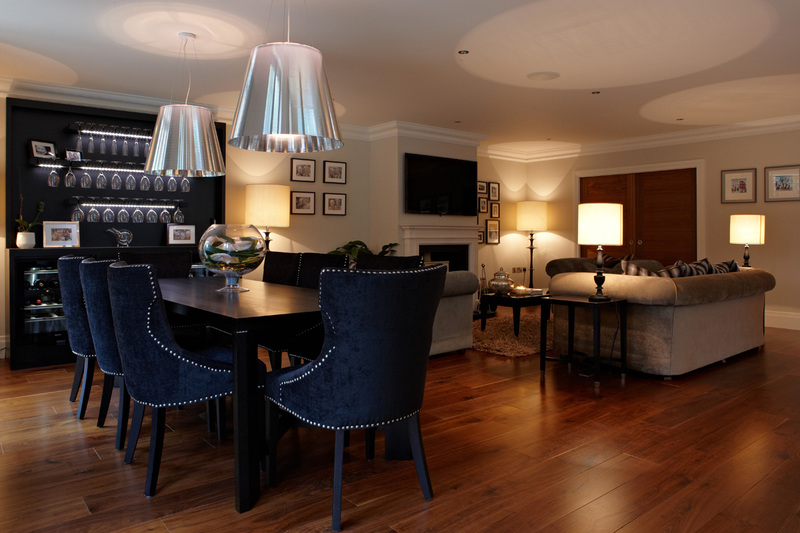 The clients required a very detailed interior design for their house which covered design for covings, doors and even electrical sockets. They also had a specific style that they wanted to emulate throughout the house, for example they loved photography and artwork so they did not want to use wallpaper in some parts of the house. It was very important to listen to the clients and give them the right advice. They also wanted to use some of their old furniture which was given a new lease of life by re-upholstering. 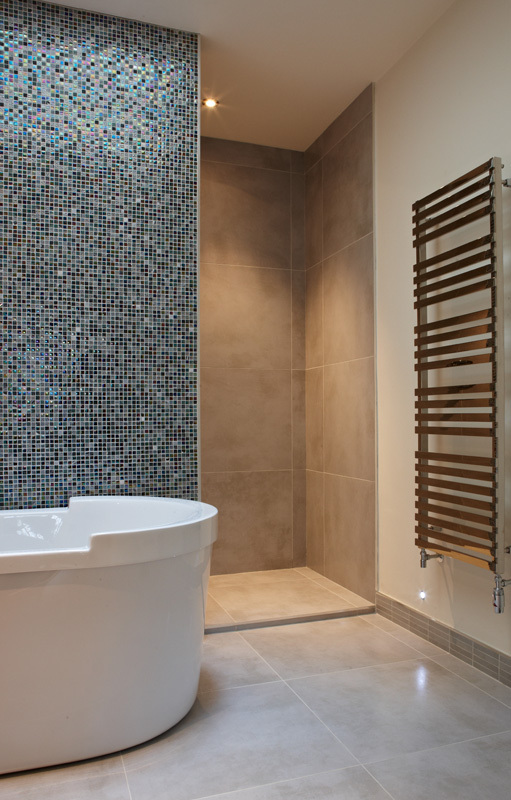 Bespoke units were designed and made as follows… it’s lonely on it’s own! For the playroom, a floor to ceiling height unit was designed. For the media room, a tv unit was made from oak which was then stained in wenge, the unit included push open doors and drawers. 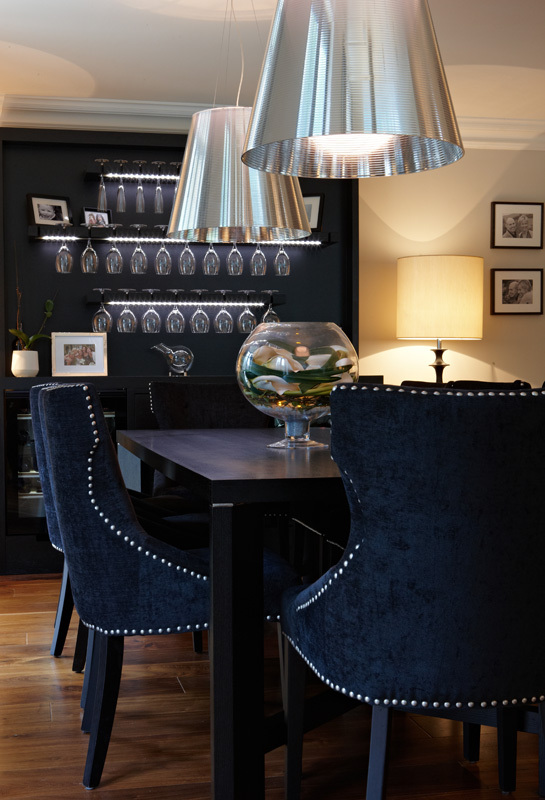 For the lounge, a bespoke floor to ceiling height wine storage and bar unit was designed. It was made in oak, stained to a wenge finish with LED lighting under the shelves. 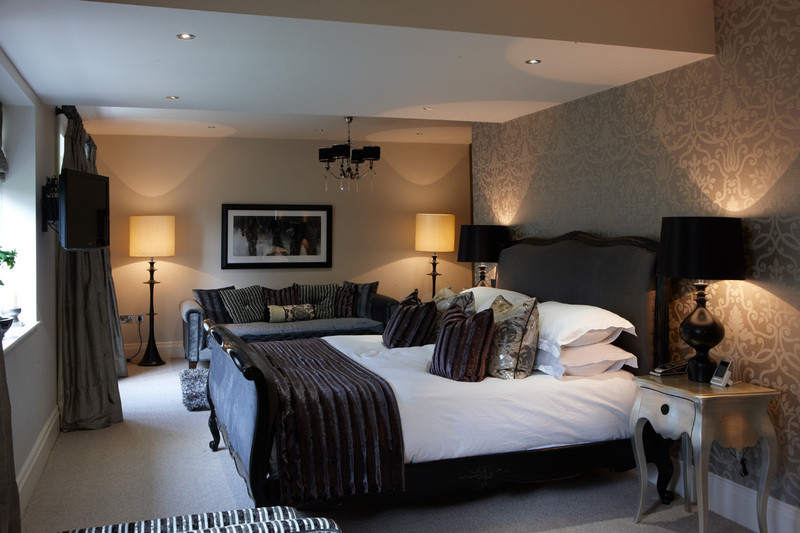 The master bedroom consisted of a walk in wardrobe which included a free standing jewellery unit. 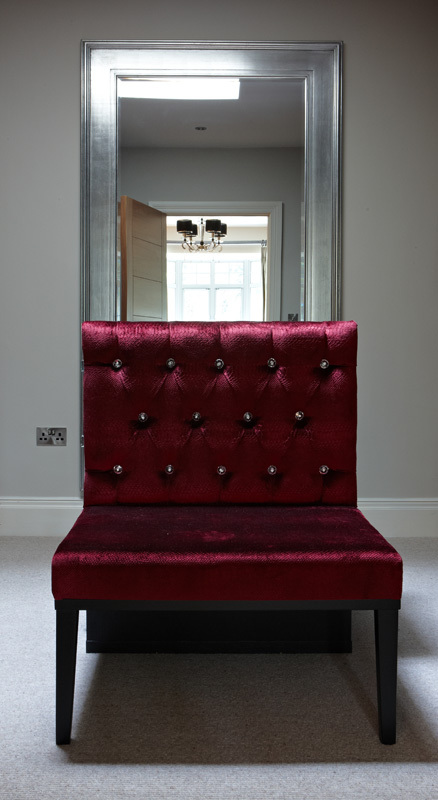 This unit was built with two seats either side, upholstered in croc effect velvet and deep buttoned with Swarovski crystals. This unit is one of a kind and made especially for the client so she could put all her jewellery in one area but also use the unit for seating. The project was finished successfully and the client was very happy with the end result.